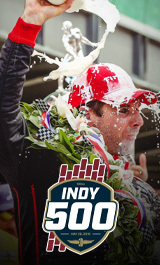 Camping is available throughout many lots located at and around the Indianapolis Motor Speedway. Available on many different surfaces such as pavement, grass, gravel and dirt, there are plenty of locations to choose from that are near your seating location. Make sure to reserve your camping spot early as they go fast! RV Camping in these lots is offered as a 4-day pass for the INDYCAR Grand Prix. Service is provided from 8 a.m. Thursday through Monday after the event at noon. These passes are all sold in dry camping capacity; should you decide you would like an electric hookup, we highly recommend calling the IMS ticket office in advance for purchase and reservation at 1-800-822-4639.